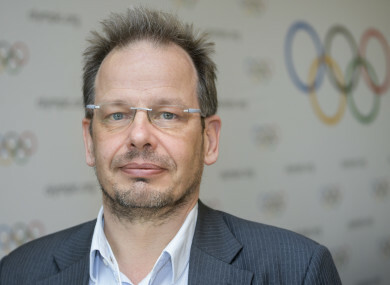 Hajo Seppelt’s documentaries on doping among Russian athletes sparked controversy. RUSSIA’S POWERFUL INVESTIGATIVE Committee said Tuesday it will try to question a German reporter who broke the story on its alleged state-sponsored doping programme should he come for the World Cup. The announcement came moments after Moscow bowed to pressure from Berlin and granted Hajo Seppelt an entry visa for the 14 June to 15 July tournament. Russia’s initial refusal to provide Seppelt with access also drew expressions of concern from Fifa and threatened to add further diplomatic strains to the World Cup. The Investigative Committee — Russia’s equivalent to the FBI — said Seppelt remained a key witness in its probe into Russian doping whistle-blower Grigory Rodchenkov. The former head of a Moscow lab at the centre of the scandal was the main source of Seppelt’s story. “The Investigative Committee has been informed by the relevant German authorities that German reporter Seppelt has exercised his legal right and refused to testify,” it said in a statement. Rodchenkov is living in hiding in the United States and is suspected by Moscow of abusing power and destroying doping samples at the lab. Seppelt’s documentaries on doping among Russian athletes sparked a storm and ended up with the country being banned from this winter’s Pyeongchang Olympic games. Email “Russia to question reporter if he comes for World Cup”. Feedback on “Russia to question reporter if he comes for World Cup”.